Ricardo Rodriguez was Wolfsburg's two-goal hero on Saturday - can he add to his tally against a vulnerable Hertha Berlin defence? Cologne - In round two of Matchday 5's midweek fixtures, Hannover 96 look to find a way past the unbeaten 1. FC Köln defence, while Hertha Berlin hope to stem their flow of goals against as they host VfL Wolfsburg. Going into the weekend's fixtures, Hannover 96 were sitting pretty in the Bundesliga. Two wins and a draw in their opening three games, including a 2-0 derby win over Hamburg, saw them sharing the top spot with FC Bayern München and Bayer 04 Leverkusen. On Saturday, however, this season's surprise package SC Paderborn ended that unbeaten run, with Moritz Stoppelkamp scoring against the Reds from a ludicrous 82 metres. Köln, meanwhile, remain unbeaten on their return to the Bundesliga after last year's promotion. They will be looking to convert more of their draws into wins though - they only have taken a point from three of their four matches. Their biggest strength is at the back - they are still yet to concede a goal - but conversely they are struggling to convert chances, with just two goals to their name. Hannover boss Tayfun Korkut is without experienced duo Christian Pander and Manuel Schmiedebach for the game, and in his pre-match press conference, he appreciated the difficulty of the task facing his side. "Köln haven't let anything through. It won't be easy, but I think we will find a solution." And will Saturday's set-back dent his side's self-belief? "We will go into the game with the required self-confidence." Köln have no new injury problems to contend with but could recall Daniel Halfar to the starting eleven after his impressive substitute appearance in the derby against Borussia Mönchengladbach. 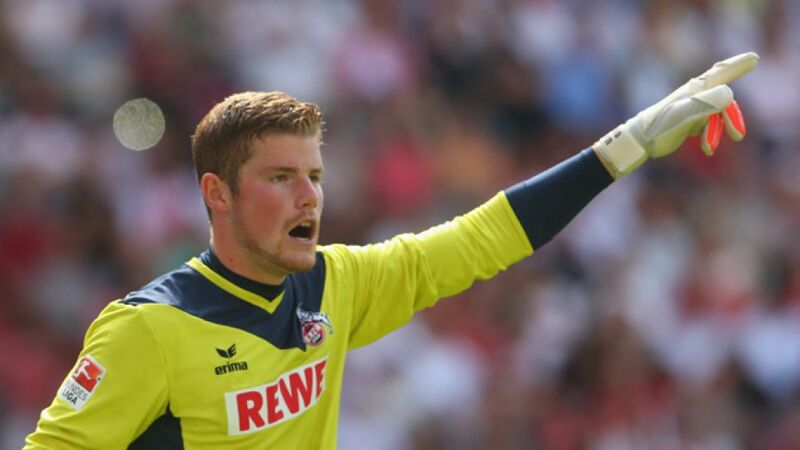 Keeper Timo Horn is chasing his fifth consecutive clean sheet, while Anthony Ujah and Japan international Yuya Osako are likely to lead the line. In stark contrast to the Billy Goats, Hertha Berlin have been picking the ball out of their own net far too often (11 times) for their liking this season. You have to go back as far as 1972 to find a time when they conceded more in their first four matches. They did rescue a point in Freiburg on Saturday thanks to the left foot of Brazilian midfielder Ronny. His two goals, both from free-kicks, earned Hertha a share of the spoils that even manager Jos Luhukay admits was a bit lucky, "We had lost control of the game." Now, he believes, is the time for improvement: "We have to get our act together." Nico Schulz, who saw red late on in Freiburg for a professional foul, will serve the first of a two match ban, while Ronny should have done enough to retain his place in the side. Ronny wasn't the only two goal hero from the weekend, of course, with Wolfsburg left-back Ricardo Rodriguez also bagging a brace in his side's 4-1 defeat of Leverkusen. Boss Dieter Hecking praised the performance of the "all-rounder" and is confident "he still has more to give". After that win Wolfsburg are expected to be largely unchanged here, although Ivan Perisic may come back into the side for Daniel Caligiuri, despite the winger scoring the winner in this fixture last season. Hecking may also decide to rest some legs after their UEFA Europa League exertions last Thursday.